President Museveni addressing the 2nd Meeting of the 1st Session of the 4th East Africa Legislative Assembly in Kampala on the need for Africa's Integration. 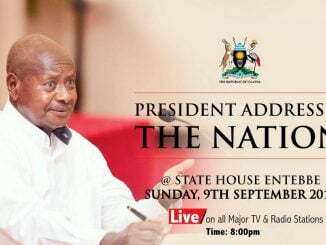 President Yoweri Museveni has advised East African Legislative Assembly (EALA) to safeguard the prosperity of all people in the East African Community. He said leaders must focus on eliminating barriers to prosperity instead of squabbling over leadership positions. Museveni made reference to a standoff that preceded the election of the Speaker of the East African Legislative Assembly (EALA). The position was contested by candidates from Rwanda and Burundi. While Kenya, Sudan and Uganda sided with Rwanda, Tanzania supported Burundi and later stormed out stormed out of the Chamber in protest. 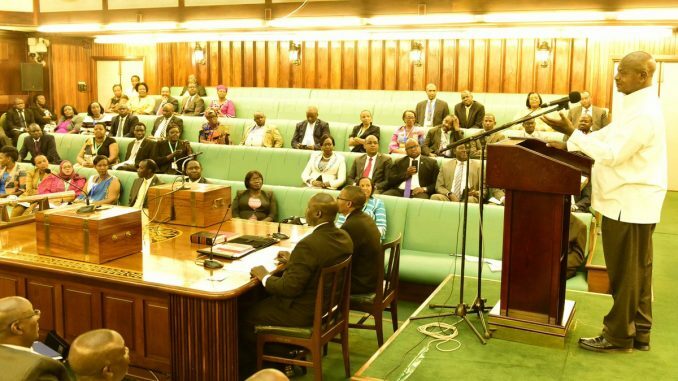 But Museveni, the current chairperson of the East African Community (EAC) Summit, criticized the development at the opening of the week-long EALA sitting at the Parliament of Uganda this afternoon. “Integration is about the future of our people. It’s not about positions. When I hear you quarrel about positions, I feel sorry. Don’t go to fight for Speakership, that’s not why you should go there. 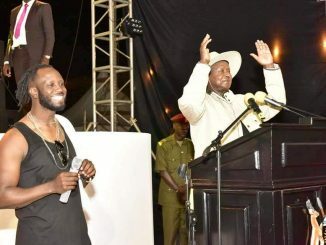 You go there to fight for prosperity, for opportunities of East Africans….,” Museveni said. 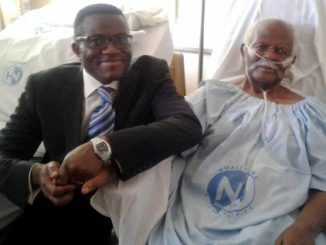 “You Ugandans don’t go to fight for Speakership but the prosperity of the people. Let’s unite our markets so that ‘my maize producers’ are not stuck with their products,” Museveni said. Museveni also pointed out that integration was necessary to promote fraternity of peoples saying that East Africans are linked by culture, language and history. According to Museveni, the other value of integration is the ability for East Africans to manage shared natural resources like lakes and rivers. He decried pollution of Lake Victoria saying that the soil which is being washed in the lake affects the fish and it’s the EAC to lose out.